You’re The Best Teacher Around!! These cute tags can be added to hand soap, hand lotion, hand sanitizer, gloves or even a gift certificate for a manicure. 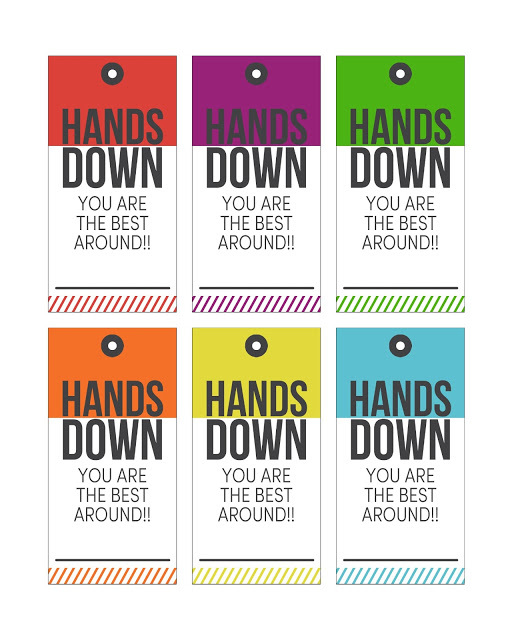 Just print and cut out the tags, have your child sign their name on the line and tie them on with some matching twine. You could even add a special touch by tracing and cutting out your child’s hand using cardstock to add to the tag. 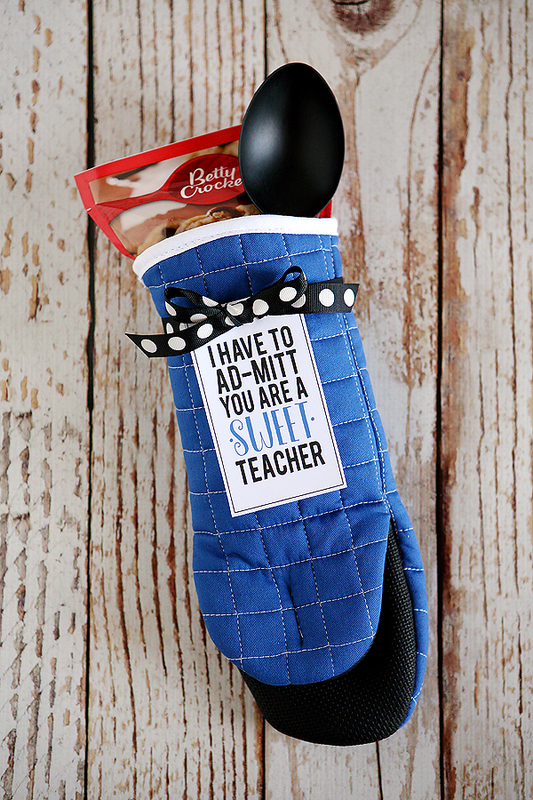 Take it one step further and have your child write a sweet message for their teacher on the hand. 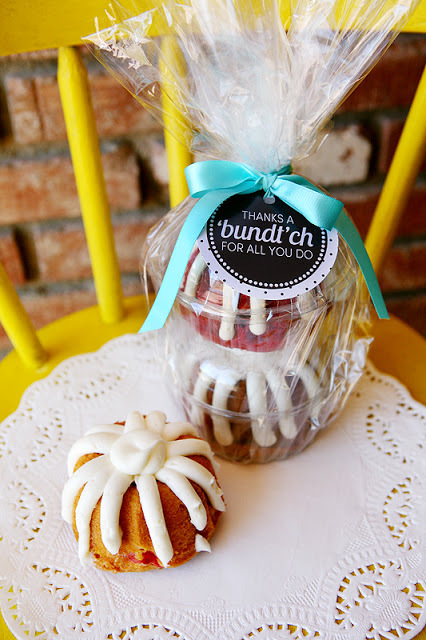 Thanks a “Bundt”ch For All You Do! Wish I'd had you to turn to about six years ago! Thanks again for such wonderful ideas! Very cute, but always remember to check your state's restrictions on teacher gifts. In my state, we're not allowed to accept anything over $25, and gift certificates must benefit the classroom (so the manicure is out). It's difficult to have to discreetly return a very kind gift to the parent without the child knowing. Wow! That is very interesting, I didn't know there was a price limit on gift giving for teachers. Learn something new every day. Lol! Love it! And I'm for sure going to do the extra step and trace their hand! What a cute, personal touch! Reminds me though, I need to keep on my 'Lil Man. He keeps wanting to eat the yummy smelling soaps. "It smells like CANDY daddy!" I am a teacher 😀 I think that if a student gives you a handmade and very toughtful gift then it really melts teacher's heart! Sometimes it's nice to be appreciated! Love it!! Thanks for the variety of colors and the printable!! Such a fun idea, teachers love soap! Just picked up some Bath & Body Works soap yesterday to this for my daughter's teacher. Such a fun and useful gift idea! Thank you so much for this wonderful idea and making it so easy to access! Thank you for this amazing printable! I really appreciate you sharing your talents and time to help me out. My kids' teachers will be spoiled this week. We sure love them, and I love you for helping us to share our appreciation for them! Have a great week! Thank you! We did this for my son's preschool teachers and they absolutely loved it!! So cute!! Is there a way to edit the download tag to say "teachers" and another to say "staff"? 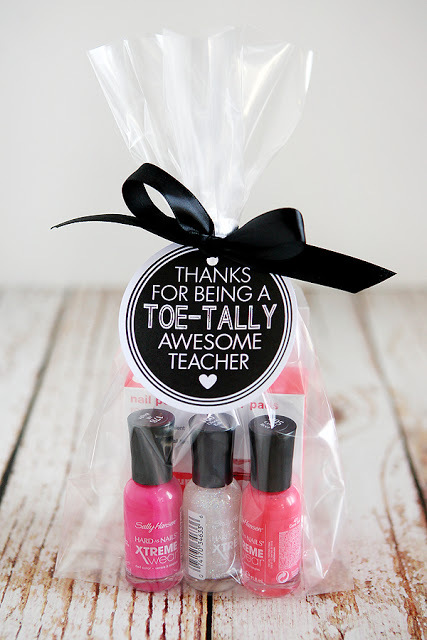 Our PTO is wanting to make these and give to everyone at our school for teachere appreciation week next week. Thanks! I'm putting these together right now for my kids' teachers. Thanks for sharing! Hand soaps are on sale today at B&BW for <$3.50 each. I printed these out on manila cardstock and referenced my Teacher Questionnaire from the beginning of the school year to get each teacher's favorite scent! (Plus, I got a free Wild Madagascar Vanilla body gel and $1 shipping with the code FREEWMV.) THANK YOU! Thanks for the super cute idea!! Love the creative ideas to give to teachers!!! These are darling! Thanks for sharing!!! We use these every year! Thanks again for sharing your talents with us!